What a BIG Weekend! 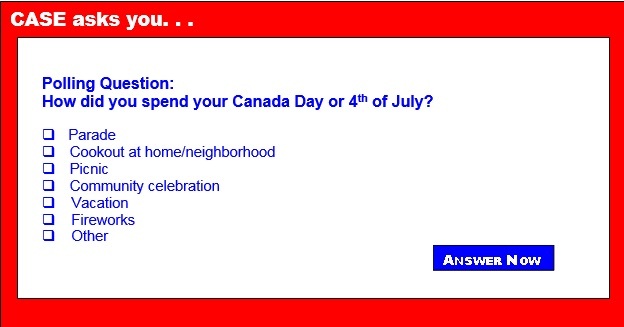 Canada Day on July 1 and the U.S. 4th of July! With the 4th of July occurring on a Monday this year, many celebrations started this past weekend and with Canada Day falling on Friday, many of those celebrations lasted all weekend! Both days are celebrations of Independence from Britain and are typically done so with too much sun, insect bites, too much food and capped off with fireworks! According to Wikipedia, Canada Day is frequently referred to as "Canada's birthday," and marks the occasion of the joining of the British North American colonies of Nova Scotia, New Brunswick, and the Province of Canada into a federation of four provinces (the Province of Canada being divided, in the process, into Ontario and Quebec) on July 1, 1867. Canada became a kingdom in its own right on that date, called the Dominion of Canada, but the British parliament and Cabinet kept limited rights of political control over the new country that were shed by stages over the years until the last vestiges were surrendered in 1982, when the Constitution Act patriated the Canadian constitution. Most likely you are reading this email on Tuesday or maybe even later. One year we took our vacation on the beach at Hilton Head Island SC the week of the 4th. I texted both of my brothers and told them the whole world was at HHI that week. They immediately texted back and told me I was mistaken — they were all at Myrtle Beach and Panama City Beach! It was funny that we all three unknown to each other chose to take a vacation that same week to different locations — but it also taught me a lesson to NEVER go on vacation again that week! We now choose to stay home and have a nice neighborhood gathering around the pool! However you chose to celebrate, I hope you and yours survived with only minor good time injuries or hopefully none at all! Next Monday when you are reading the Update, you will have a team of CASE members learning how to be YOUR voice up on the Hill! Be sure to read next week for an update on what will be happening on Tuesday, July 12! And now for your FREE Resource... Last week I mentioned the NCII website. This week I want to make sure you know about the wonderful resources on the National Association of School Psychologists website. There are so many but I want to make sure as you are planning for this next year that you know about their Resource Section and specifically the section on War and Terrorism. It is a tough topic but we all know this next year as in the years in the past, we have to be prepared for bad things to happen and how they will affect our children and staff! I know you already have Crisis Plans but they should be updated at least annually and many people do that in the summer. 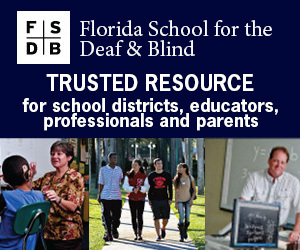 As you update them, look at the resources NASP has provided on many topics! NASP is a great CASE partner and we are so excited they will be attending, presenting and collaborating at the CASE/NASDSE Fall Joint Conference! Don't miss out on the great resources they will be sharing during that event — in fact, why don't you bring your school psychologist with you — they are great team members! Speaking of the Historic CASE/NASDSE Joint Conference this September... We have just received confirmation that Secretary of Education, Dr. John King will be one of our keynote speakers! We are anticipating a record crowd so go ahead and reserve your hotel room with a room rate of $129 this will be a great conference that will also be easy on your budget! To learn all about this conference, the rates, and other important information, download the registration packet or go to the www.casecec.org for all the information and links! Be sure to get this on your calendar and in your budget as you will not want to miss this historic event! The Poll for last week asked what department at the District Office do you work with most closely. First place with 47 percent was the business and financial office. Second place at 29 percent was Curriculum and Instruction. There was a tie for third place at 14 percent: Superintendent and Other. Whenever I was asked to speak to the New Director Trainings in GA, I always told them to bake brownies or cookies and take to the financial officer and everyone else in the business department too! It is critical for those folks to understand what you do and why you do it! Being well thought of by those folks can never hurt! Thank you for all the partnerships you forge and maintain to make the programs you supervise the best ever! It absolutely takes a village! The following bills were introduced by the House last week. Where is the talk about public education?